Getting sick is a common fact of life. In most cases, if an employee succumbs to an illness, an employer usually provides some time off for the employee to recover. In some cases, an employer may ask for proof of illness, such as a doctor’s note, if the employee’s condition requires an extended period of time off. In cases where an employee’s sickness requires an extended time of absence and accommodation from their employer, an employer can request for the provision of medical information in order for it to assess what accommodations can be made. Requests for information can include independent medical examinations (IME) of the employee. Generally speaking, an employee has a duty to provide their employer with some medical information as part of the accommodation process. In Complex Services Inc v Ontario Public Service Employees Union, 2012 CanLII 8645 (ONLA), the Labour Board held that generally speaking, an employee will need to provide information on the nature of the illness, the permanence of the illness, restrictions on activities, the basis of the medical conclusion, and potential treatment and its impact on the employee. In what circumstances can an IME be made, and in what cases would they be inappropriate? This case demonstrates a situation where an employer’s request for an IME was reasonable and appropriate. The plaintiff was a superintendent employee who had been employed with the Ottawa Catholic School Board since 1975. The plaintiff went on sick leave in 2010 due to depression arising from work related issues. By 2010, the plaintiff had accrued a significant amount of sick days and relied on them to continue receiving income from the Board. During his leave, the plaintiff regularly provided the Board with medical information regarding his sickness. As a result of some seemingly contradictory medical information, the Board requested the plaintiff to participate in an IME to get a second opinion on his capacity to return to work on a full-time basis. While the plaintiff was initially agreeable to participate in an IME, he refused to participate following a dispute regarding information provided to the third party medical professional. Following his refusal, the action came to a standstill as the Board would not proceed with accommodations without an IME. The plaintiff subsequently brought an action before the Human Rights Tribunal alleging that the Board has failed to accommodate his illness by imposing an IME. Both the Human Rights Tribunal and the Ontario Court found that the Board’s request for an IME was a reasonable request due to their reasonable and bona fide reason to question the adequacy and reliability of the information provided by the employee stemming from the inconsistencies and the lack of medical reasoning behind the plaintiff’s diagnosis. The plaintiff’s refusal of the IME was found to be the primary reason why the action came to a standstill, and was not due to the Board’s breach of their duty to accommodate. IME’s are not the only method for an employer to gain medical information about their employee’s illnesses. If an employee provides medical information that is consistent and is supported by sound medical scrutiny, an employer would not have a reasonable or bona fide reason to question the adequacy of the information. In situations where an employer requests an unreasonable IME despite receiving adequate medical information from their worker, an employer may be found to be in violation of their duty to accommodate. In addition to requests by employers, employees who have claimed long term disability benefits are almost always requested to provide proof of illness. In most circumstances, consistent medical records with sufficient depth are adequate in proving an employee’s illness. 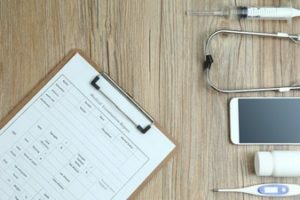 Insurance companies face similar restrictions as employers when seeking an independent medical assessment, especially if an examination contains invasive procedures. Employees who are in the situation of needing to provide medical information to their employer must act diligently and consider the information being provided by either themselves or their medical practitioner in order to avoid an unnecessary IME. Failure to do so may have costly consequences both financially and personally if intrusive procedures are necessary as part of an IME. Employers must also act diligently in their collection of information and consider whether an IME is truly necessary. An unreasonable request for an IME could be found as a breach of the duty to accommodate which may result unnecessary litigation. Contact Monkhouse Law today for a free consultation!